My friend Alberto Mastromano grew up on the Island of Capri off the coast of Naples, Italy with his family. He and his three brothers left Capri and headed for Bermuda to work in the restaurant business. Eventually, they arrived in Richmond, Virginia and opened their own restaurant “Little Venice”. Now celebrating eight years of tremendous success – it is one of our favorite restaurants anywhere. 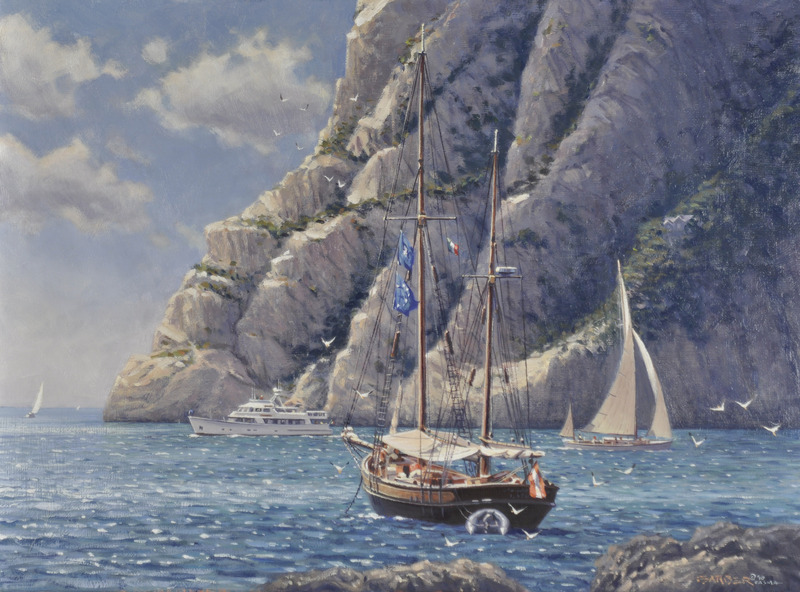 Several years ago my family and I visited the Isle of Capri and I’ve done two other paintings from this beautiful setting. In this case Alberto came to me with a photo [right] which he’d made on the island’s southern shore at Marina Piccola [Small Marina]. It was a view from the rocky outcropping of a beautiful sailing ketch from Latvia anchored just offshore. A warm breeze and afternoon sun bathed the area. 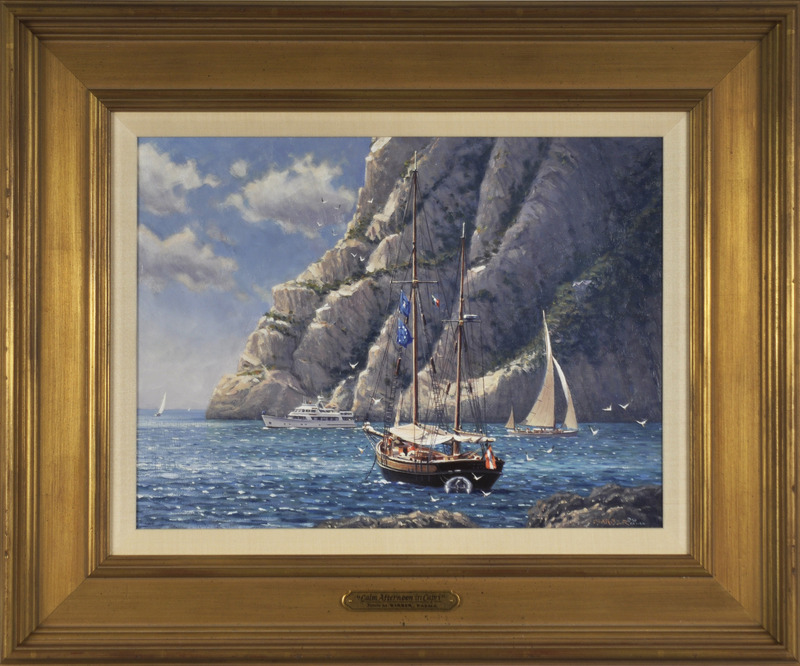 He said “looking at the photo brings me peace” and that “peace” is what I tried to capture in “Calm Afternoon in Capri”. On the lower right is a photo of Alberto and me with his new painting. You’re welcome to bring me a photo of something special and I’ll work with you to create a piece of art which you can enjoy for a lifetime and then pass on to a loved one.